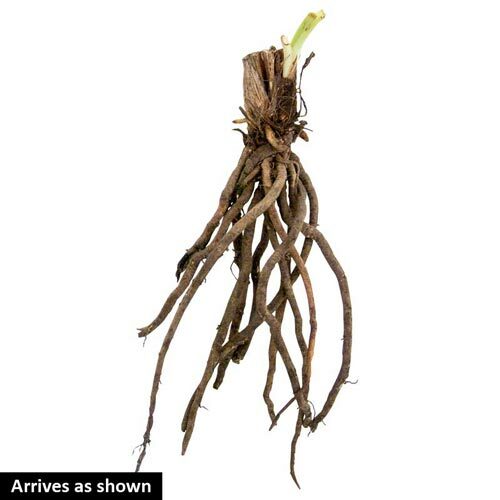 Planting InstructionsDig a hole large enough to accommodate the roots without bending them, work soil in around roots, firm well and water in thoroughly. Winter CareNone, except to mulch if fall planted in colder areas. Remove in early spring before growth starts. Flower FormFlared trumpet-shaped from 2 1/2" for miniatures to 6". Foliage TypeGrass-like, long linear and rich green. ResistanceFew P & D problems. Occasional slug damage to foliage. Soil RequirementAdaptable to a wide range of soil, except wet ones. Additional InformationIf the foliage becomes unsightly during the growing season, it may be cut back to approximately 6". It will quickly regrow. Unique CharactersticsA beautiful new and very rare variety with exotic, flamboyant flowers that put on an elegant show for up to 3 months. Tricyrtis are one of the few plants that bloom during the fall in the shade. The tropical looking flowers coupled with graceful, long, arching, stems create a beautiful scene amongst the greens of late summer. Given a rich soil and plenty of moisture these plants will increase in size each year and produce a prolific number of flowers. Growth RateModerate. Will flower sparsely the first year. 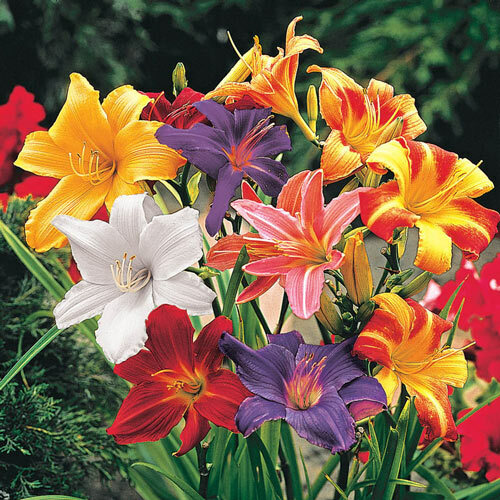 Additional InformationDaylilies can survive many hard conditions that other plants cannot. Including polluted city environments, slopes poor soil near pavements that is salted during winter.